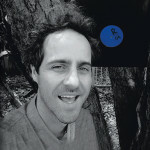 Jamie Lloyd is a talented songwriter from Australia who worked with Hauke and Yanneck on separate projects, making him an influential character in the genesis of Retreat. After fronting an indie band, the Sydney native fell in love with electronic music and went on to record two highly praised albums for Future Classic. 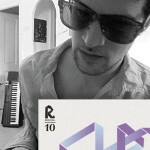 Around 2010, Jamie felt the need to expand his creativity in other fields, thus deciding to pause his recording career. But the music bug has been itching him again lately and after sending a demo to the Retreat HQ, it became clear that he would take part in »Treats Vol. 5« and that »Spiro Hustle« is a mere appetizer of many good things to come. 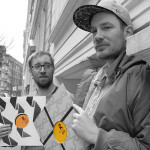 Music and vinyl have always been close to the hearts of longtime friends Hauke Freer and Matthias Reiling, better known to their fans as Session Victim. After a first EP on Real Soon, the next logical step was to actively take part in a label’s creation, hence Hauke’s involvement in Retreat, which proved to be the best vehicle for the duo’s inimitable style of sample-based House. Flourishing with the label, Session Victim quickly attracted the attention of Delusions Of Grandeur who released their debut album in 2012 to much acclaim. Now, as Retreat’s main ambassadors and with a follow-up to »The Haunted House Of House« in the works, Session Victim are world class performers with a mission to turn clubs upside down and bring a bit of love, integrity and fun back to the game. Originally from the south of Germany, Johannes Albert moved to Berlin at the turn of the 2000’s. This good friend of Iron Curtis became a member of the Retreat extended family almost overnight, thanks to his dedicated DJ sets and the fact that, as a producer, he’s always looking for a nasty and raw sounding Hi-hat. 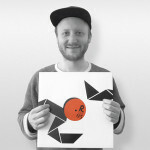 Johannes Albert also runs the respected Frank Music imprint (available on the Retreat webshop) and received accolades in 2013 for his debut album »Hotel Novalis«, which presented a joyful yet rough version of deep house. Probably one of Berlin’s most intriguing figures, Reverend G is at the service of a higher entity. Every Sunday morning, the priest celebrates House Music in the Church of the Lord Jack somewhere deep in Neukölln. The reverend’s sermons (which he addresses not via speech but with the help of drum machines and samplers) have become legendary and have recently surfaced as vinyl-only bootlegs, sold under the counter of a few record shops. Needless to say, it immediately caught the ears of Retreat’s founders and after months of tracking down (and some intense negotiating), the reverend finally agreed to participate in »Treats Vol. 5«. As with every great musical duo, Kim Brown celebrates the meeting of two rather opposite tastes; the classically trained and pop-inclined Ji-Hun Kim on one hand, and the technically savvy, hip-hop enthusiast Julian Braun on the other. After 2 EPs on Just Another Beat, Ji-Hun and Julian felt that their chemistry was strong enough for a full length adventure, resulting in the majestic »Somewhere Else It’s Going To Be Good« which is already considered a true deep house classic. 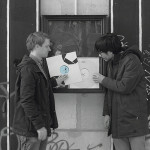 The connection with Retreat was forged a few years back, when Ji-hun and Yanneck shared the minuscule DJ Booth in Farbfernseher and kept the crowd dancing way past the bar’s official closing hours. Kim Brown’s music seems to be tailormade for those moments and it’s an honour to have them for their first musical foray outside of Just Another Beat. Retreat’s second main act is Quarion, real name Yanneck Salvo, a Swiss producer who’s discography starts in 1999 and who moved to Berlin in 2007 where he met Hauke Freer via mutual friend Dirk Rumpff (of Offtrack fame). Quarion’s releases on Drumpoet Community and his various remixes established him as one of the key artists of the new wave of deep house. But Yanneck was disappointed by the blandness of the scene and setting up Retreat with Hauke was the best way to show the underground some love and keep experimenting outside of known formulas. After 3 EPs, various »Treats« contributions and new works for Muhk and ManMakeMusic, Quarion is more dedicated than ever to push things forward. 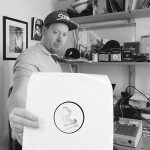 Nick Wilson used to be one of London’s best kept secrets … but thanks to his essential »Synthetes Trilogy« on Don’t Be Afraid, it is no longer the case (and all the better for it). 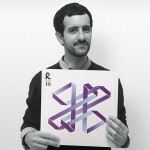 Mr Beatnick has a long musical history yet his connection with Retreat goes back to the beginning of the millennium when Nick was living in Geneva and organizing parties with Yanneck. 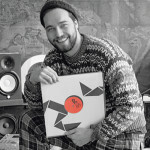 Moving back to London, Nick perfected his craft as a house producer while playing many incendiary sets around the English capital. It wasn’t long before Mr Beatnick caught the ears of Hauke too, so it felt natural for the Retreat crew to ask him for a track, which arrived as the acid drenched »Hold On To Your Dreams«. combines disparate musical elements in an unmistakable way. Roberto is the new moniker of Leafar Legov (Rafael Vogel), an active member of the notorious Giegling collective originally from Weimar. 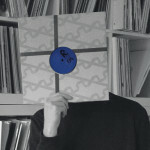 Giegling released Matthias Reiling’s first solo excursions on wax and also invited Hauke Freer to perform at a (now legendary) mini-festival on a hidden Danish island back in 2010. A strong connection was made so it felt only right to include at least a bit of Giegling on this compilation. Rafael is a soft spoken lad who prefers to let the music speak for himself, which makes »Blush« not only a validation of his burgeoning talent but also the perfect closer for RTR15.